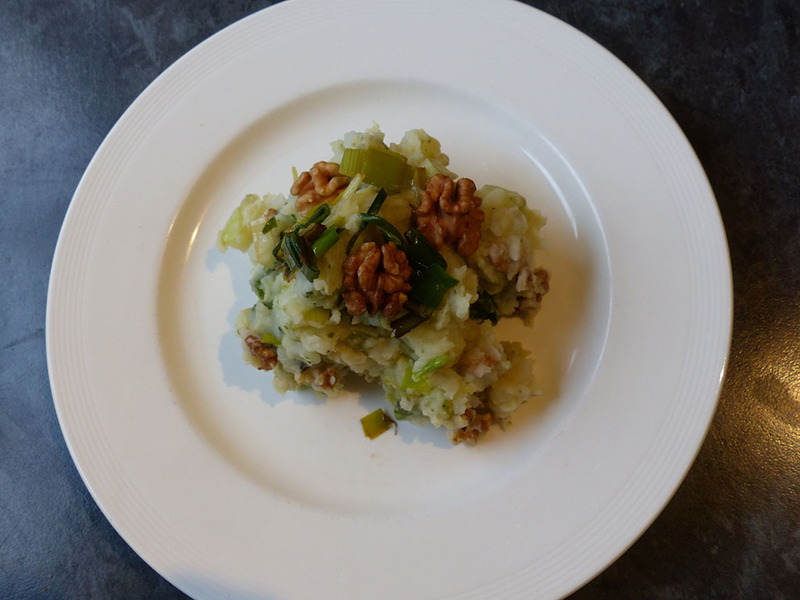 Another Dutch 'stamppot' dish. Yes, we sure like our mashed potatoes! This is a vegan recipe but can be made vegetarian by using cheddar cheese, milk and butter. Boil the potatoes for around 15 - 20 minutes until soft. You can check this by pricking in one with a fork, if it's easy they're ready, if not boil a little longer. In the meantime, fry the leeks in the oil until softened. When the potatoes are ready, mash with the pesto, soya milk and sheese until you have a smooth consistency. Add the fried leeks and walnuts and mix together.